Spicy Treats: Brown Rice Idli ~ Healthy Breakfast Recipes ! I use to take brown rice (lunch) for weekly 3 days.Yesterday i thought why should i try some idly using this brown rice?? yes i wanted to try and i tried for the first time with 1 cup brown basmati rice. Same idly batter preparation only..instead if idly rice i added brown rice.The batter n the idly has the flavor of brown rice but idly was soft and came out really good. Good to include brown rice in daily diet by such delicious breakfast recipes. I even tried dosa, Ootappam, Paniyaram with the same batter. Everything turned good and we loved it. Soak brown rice for at least 6-8 hrs and soak urad dal and other items just 1 -2 hrs before u start grinding. First grind urad dal,methi seeds and poha together in a mixie/grinder with little water . Grind it to half smooth batter and then add soaked brown rice to it and grind till soft,smooth and fluffy. Then transfer it to a bowl and add salt,mix well and allow for overnight fermentation. Then next day once again mix the batter and pour to the greased idly plates and cook for 15 minutes or until done. Now the soft brown rice idlies are ready to serve. Serve Hot with any chutney/sambar etc. brown rice idly looks soft and healthy too,great idea ..
wow..Idly with brown rice?!? nice idea. I am happy to hear that it came out well...I am gonna try for sure..Thanks for this useful recipe. I used brown basmati rice, it's raw rice..but u can use boiled brown rice also like regular idli rice. Great Recipe,.......Thanks a lot,.......need to try soon. very healthy n luking like regular idlis..nice. I am very good at making regular idli. I always have good fermentation and soft white idlies. But this did not turned out very well. I used Par boiled brown rice and did not get any fermentation. Even I tried to cook but was not fluffy as you have shown in the picture. Pls help if I have to use another kind/brand of brown rice. So sorry, that your idlis did not turned out good. 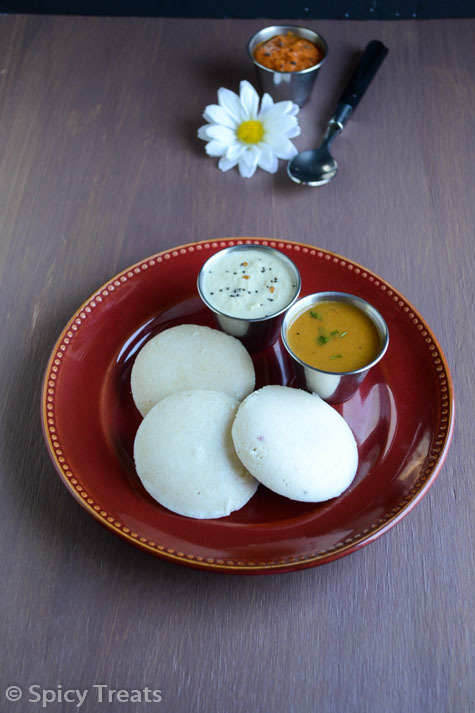 If the batter is not fermented properly you will not get soft and fluffy idlis. I always use Brown Basmati Rice for all my Brown Rice recipe. Brown Basmati Rice is available in Indian Grocery Stores & also in some Asian Stores. I buy Laxmii Brand or Kohinoor Brown Basmati Rice. Allow the rice soaking time for minimum 6 hours. Try adding 1-2 tbsp extra urad dal. Keep the ground batter in warm place for fermentation - like in an oven with its light turned on. Or on Stove top with lights on and cover the batter bowl with cloth. 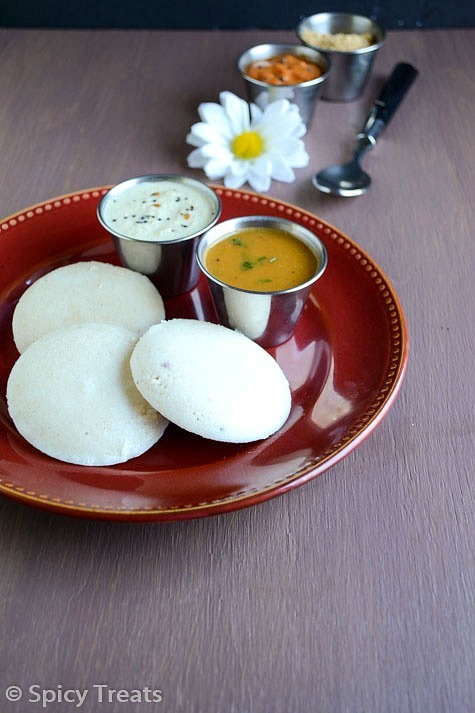 Only well fermented batter gives you soft idlis. 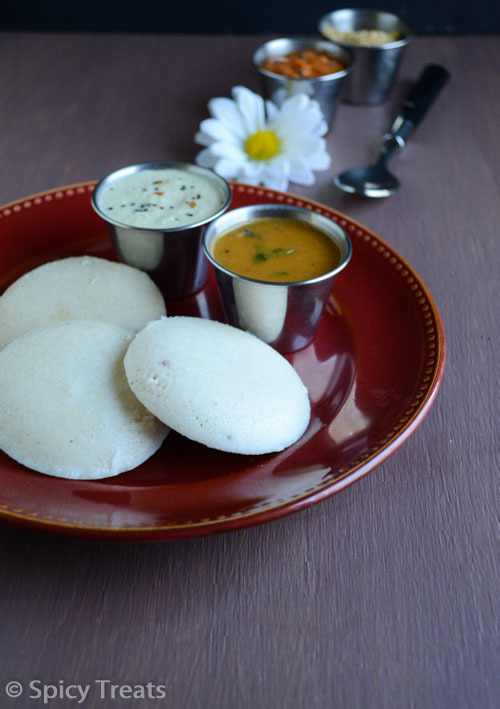 Compared to regular idlis this will be 5-10% less soft n spongy but still you get a soft idlis. 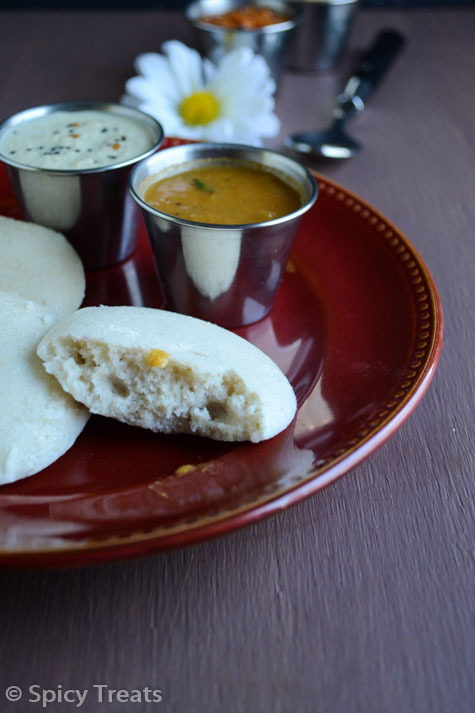 I often make Brown Rice idli even my kids like this idlis. Hope this helps and give a one more try, definitely you will get soft idlis. Thanks! !